The sun is illuminating the lands and spring is unfurling over them with the coming of the new year. With it we want to showcase the arts have spanned thousands of previous equixones: handicrafts. Join #SeeYouinIran Cultural House for “Norooz Market” for a selling of Iranian handicrafts by local artists. It will feature the herbal products of YAO, the travel goods of FaFa Coral Island, the handmade wooden home designs of Kalaf, the delightful home goods of Arang, the indigenous art promoting crafts of See You in Iran’s own Baluch-themed IndiCraft and Iranians sweets and desserts. 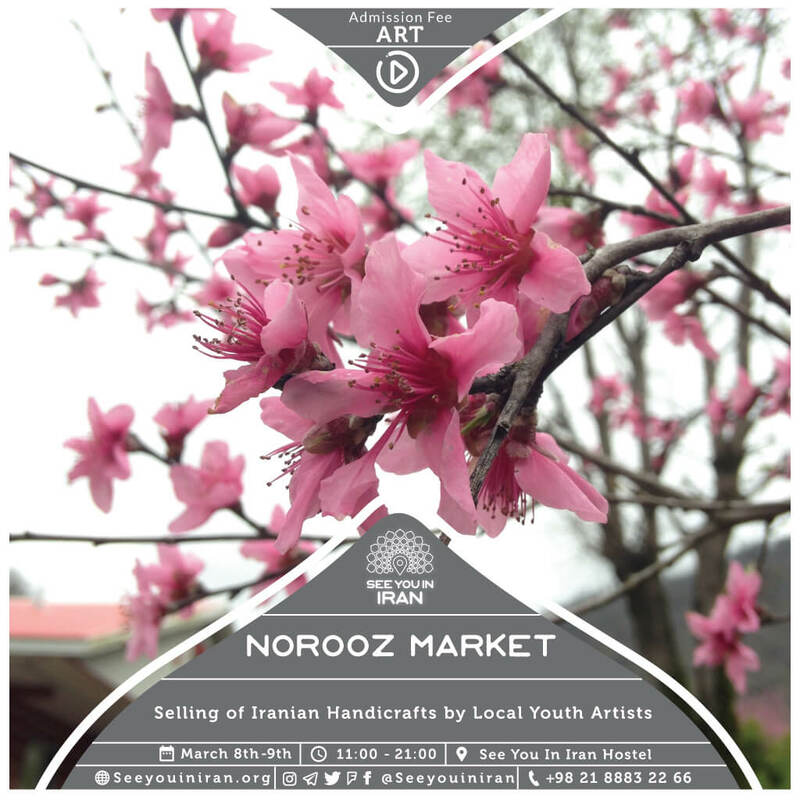 Join us for our Norooz Market from March 8th till the 9th beginning at 11:00 and ending at 21:00 at the See You in Iran Hostel.